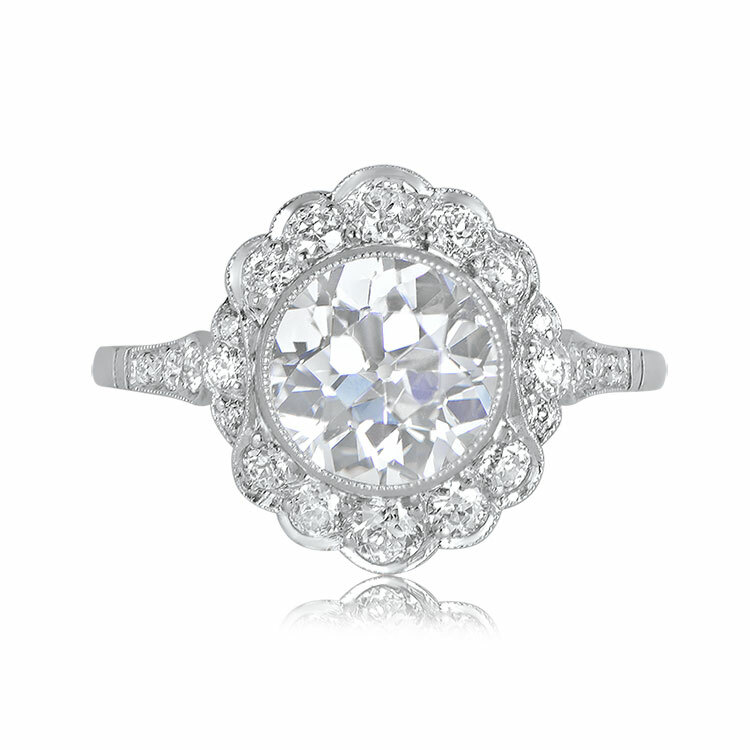 A delicate and lovely vintage style cluster ring that centers a 2.16 carat old European cut diamond, I color and VS1 clarity diamond. 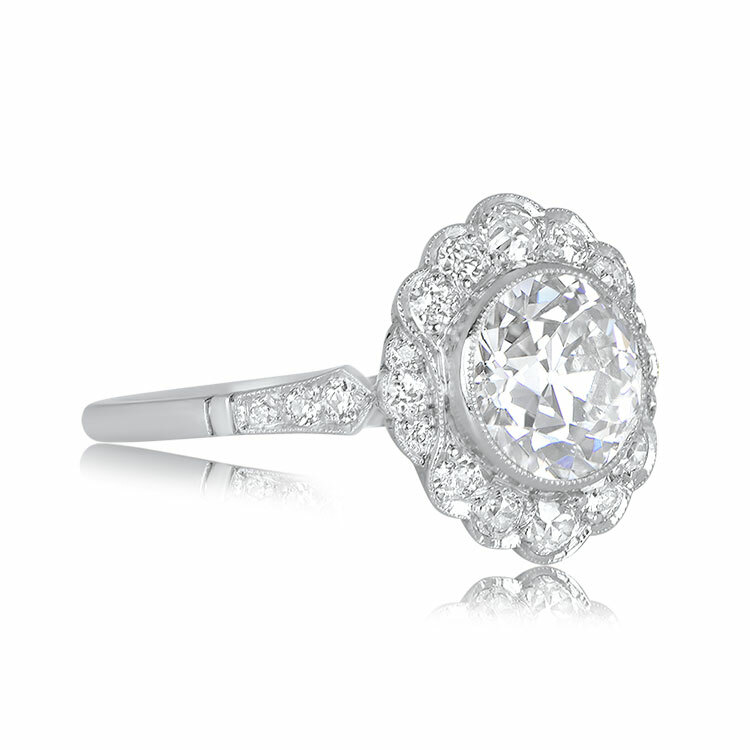 Surrounding the center diamond is a floral cluster of old cut diamonds. 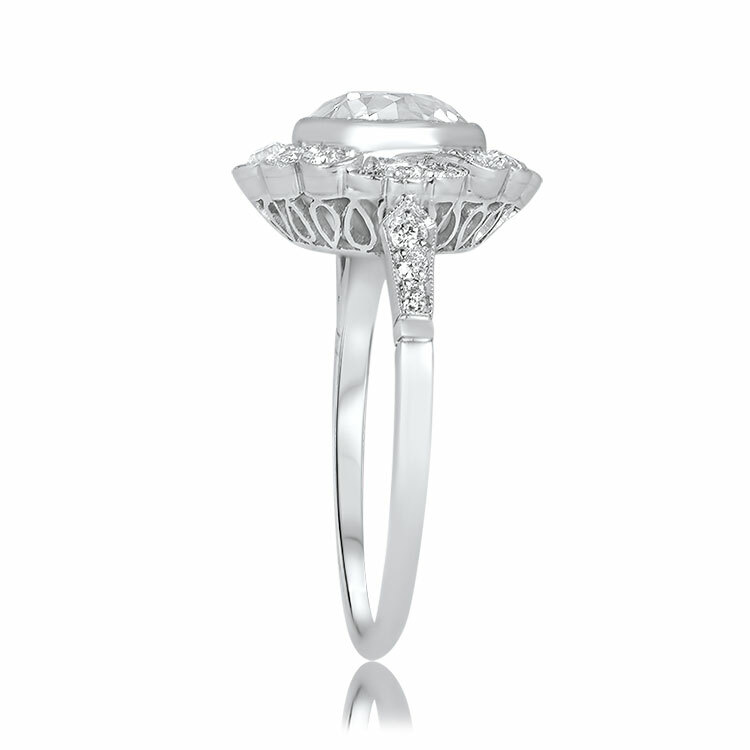 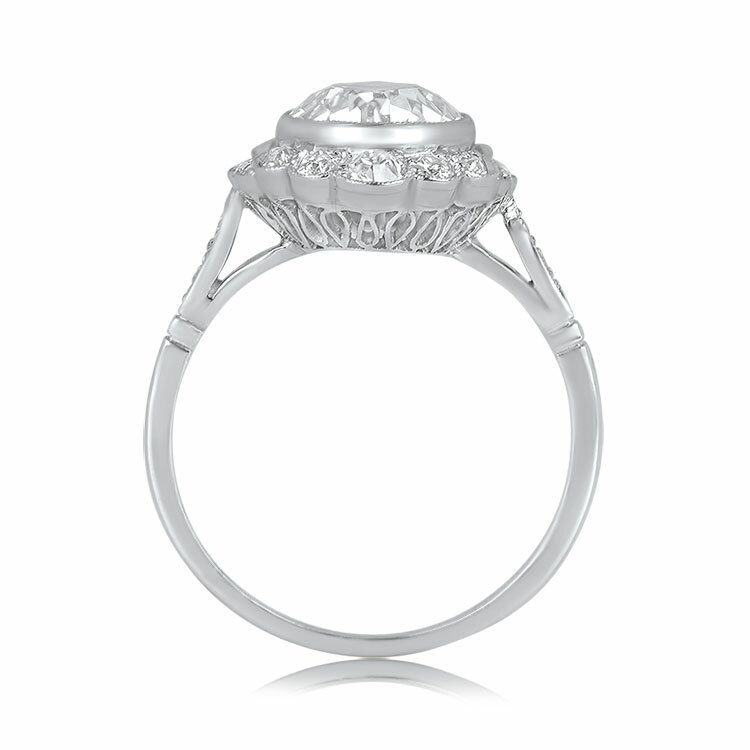 This ring is entirely hand-crafted in Platinum in the style of Edwardian. 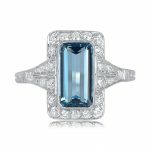 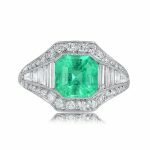 SKU: 12067 Categories: Old European Engagement Rings, Vintage Engagement Rings - Contact us and request additional pictures.